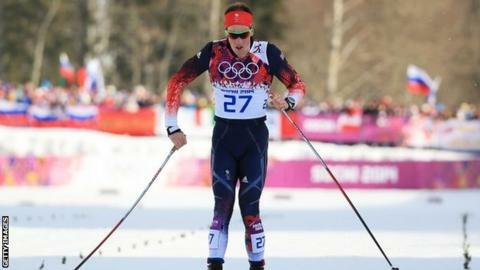 Briton Andrew Musgrave has beaten Norway's best cross-country skiers to become their national champion. The Scot, 24, was fifth in the 50km race at Gala to win the overall title. At Sochi 2014, Musgrave became the first British man to reach an Olympic sprint quarter-final, but, despite medal hopes, finished last. He had beaten Sochi gold medallist Ola Vigen Hattestad into second place in the sprint freestyle at the trials for the Games in January. Results in four individual races combine to determine the overall champion. Musgrave - born in Dorset, but a fluent Norwegian speaker who is studying for a civil engineering degree in Trondheim - was also seventh in the 15km classic and sixth in the skiathlon. After claiming the title, Musgrave commented: "Even if I take Norwegian citizenship I'm not going to change. I intend to continue to beat the Norwegians." A spokesperson for Britain's national body, British Ski and Snowboard, later clarified Musgrave's comment, explaining: "Andrew is not planning on changing citizenship at present. The comment was slightly tongue in cheek, I believe."